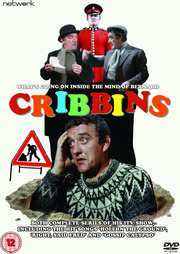 Comedy legend Bernard Cribbins had been a key presence in British film and television comedy for over a decade before he landed his own headlining television series at the tail-end of the 1960s. An off-beat revue of quickfire sketches in the "Cribbins style", this fast-moving mixture of comedy and song (including chart hits Hole in the Ground, Gossip Calypso and Right, Said Fred) featured a gallery of outrageous characters in a myriad of seemingly inexhaustible situations! Bank clerk, burglar, tramp, librarian, cowboy and even spaceman Cribbins is all these, and many more! With comic support from Sheila Steafel, The Benny Hill Show's Bob Todd and the always glamorous Maddie Smith, this zany mix of fun and music also guest stars Patrick Cargill, Dennis Price and Dad's Army's Bill Pertwee. 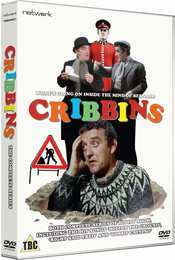 Written by sitcom legends Johnnie Mortimer and Brian Cooke (then riding high on the success of Father Dear Father), this set features all twelve editions from both series of Cribbins.